I spent most of my December making 4 quilts for my neighbor. 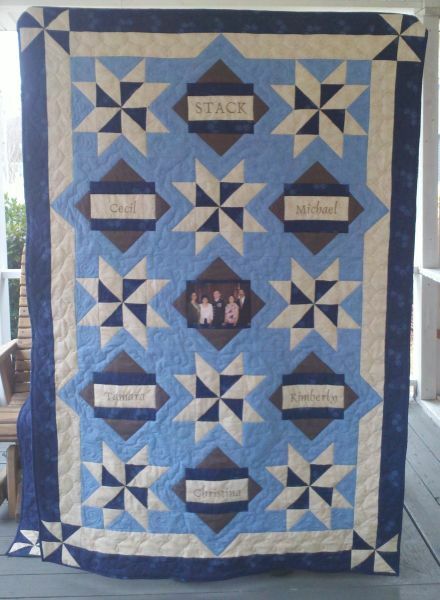 She wanted a photo of all her children in the quilt and my husband suggested we add names as well. I designed the pattern I wanted to use in November and the fabrics were delivered right before I left to go out of town for Thanksgiving. 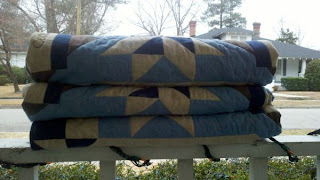 So I had a little less than a month to get all 4 quilts cut, sewn, basted, quilted, and bound in time for Christmas. 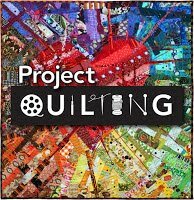 I cut out all the fabric for all four quilts at once and started assembly line sewing pinwheels, but then I decided to work on one quilt and get it finished so my neighbor would have time to mail it out. I finished that first one on the night of December 15th. 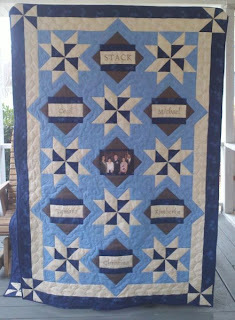 Since it was dark outside, Hubby held the quilt for me while I took an inside photo.